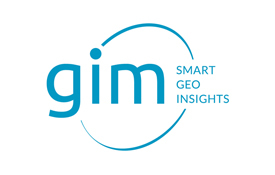 GIM is a Value-Adding Service Provider deriving relevant geoinformation from Earth Observation data its clients can trust and act. Backed by regular research activity, GIM leverages its image processing expertise of over 15 years, to support public and private customers understanding and better managing our changing environment. Starting from in-depth requirements analyses, GIM designs, implements and delivers solutions across the environmental, agricultural and urban sectors specializing in high and very high resolution satellite imagery and Object-Based Image Analysis. GIM is at the forefront of developments in image processing with a particular focus on advanced processing chain automation. Time series of images are analyzed in near real time to derive geoinformation supporting the business and decision making of our clients. Not only maps are produced but complex geostatistical and spatial analyses are applied to deliver information that can be directly integrated in the business practices of our clients. Information services are hence delivered in the precision farming, agro-forestry or eHealth application areas. GIM is serving large international industrial organizations, has a long track record in working with ESA and is also processing large volumes of very high resolution imagery as for instance for the prestigious Gates Foundation in the context of the Global Polio Eradication Initiative. GIM is an official distributor of imagery from most of the high resolution sensors available to date like GeoEye, WorldView, SPOT 1 to 7, Pléiades, RapidEye, Cosmo-Skymed, Terra-SAR X, etc. GIM also offers standard data pre-processing services (e.g. atmospheric correction, orthorectification, mosaicking). GIM capitalizes on its geo-ICT expertise to design and deploy web services applications and data infrastructures based on Open Standards for the management and visualization of Earth Observation data and metadata for several of its customers. GIM is an ISO 9001 certified company.